Having a car to explore the island is the best. Having a car with a driver, even better. 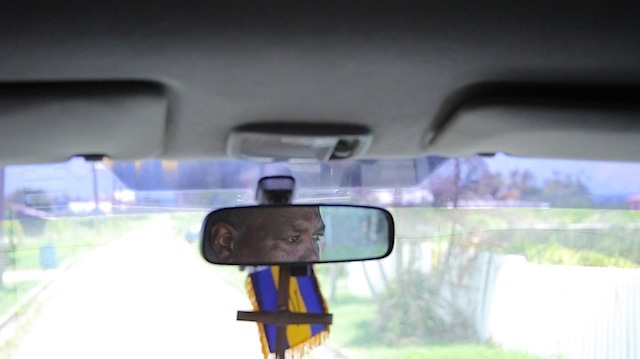 In Barbados, cars drive on the left, so for those who are not used to it or don’t feel like such an adventure, having a driver will spare the stress. Gamma knew every spot we wanted to visit and always contributed by showing us something more. Anywhere we travel, we long to have a private house for part of our stay . Staying in a private home helps you be part of a real neighborhood, and have a chance to cook meals. You get a more local experience. Also, because surfing was on top of Booker’s list of things to do in Barbados, we went straight to Bathsheba – one of the best surf spots in the island. Find out what your house provides ahead of time. Especially if you want to bring or buy things before getting there. We knew Bathsheba was a bit isolated from major shopping, so we asked our driver to make a stop before we got there and Gamma took us to Emerald City. This supermarket had pretty much everything international, plus all things Barbados. Top things from our list: Island Style Granola (with coconut flakes), cassava (which is a fantastic alternative to potatoes back home), local fruits and vegetable, drinks (including large gallons of water), local snacks such as ginger cookies, and Bajan hot sauce! Also, check out this Totally Barbados for more information on supermarkets and around the island. 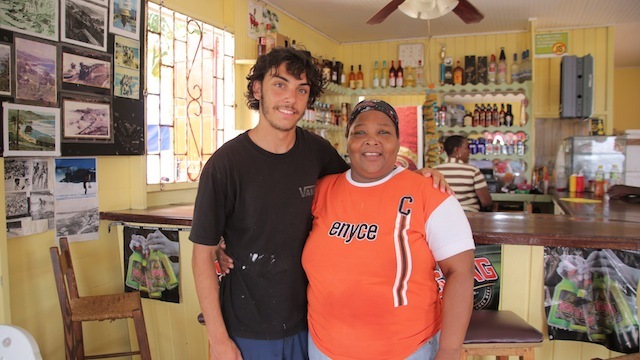 Sea Side Bar (00 1 246 433 9645) is a cafe -restaurant-bar that specializes in local fried fish. The atmosphere is super laid back and we always found an amazing and welcoming gather of locals both day and evening.